Electronic water timer with daylight sensor that automatically waters daily at sunrise, sunset or both. The best time to water your garden. 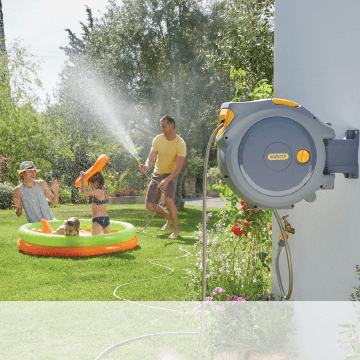 Features an innovative daylight sensor for automatically adjusting watering schedule to water at sunrise, sunset or both. Waters once or twice per day from 2, 5, 10, 20, 30 or 60 minutes. ‘Water now’ function up to 60 minutes. Water at sunrise or sunset – It’s the best time to minimise water evaporation and leaf scorch, but it is not always convenient to do it yourself at these times of the day. 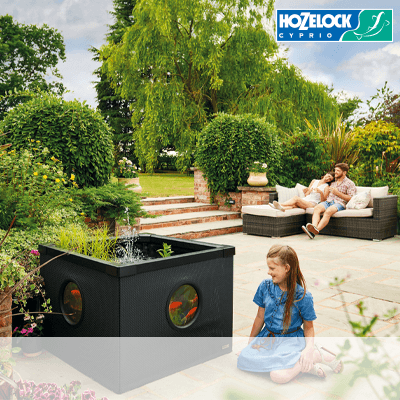 Hozelock Sensor Controller takes care of this for you – it includes a daylight sensor that automatically adjusts your watering schedule to start at sunrise and sunset. No need to programme ever again, it will automatically change the start times to coincide with sunrise and sunset as the seasons change. 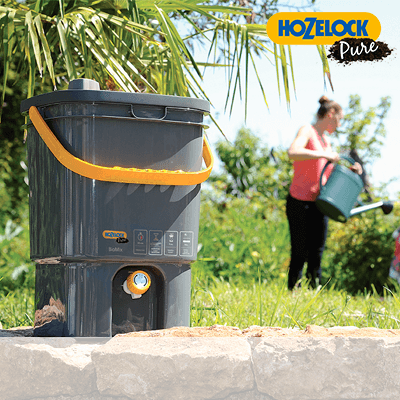 Day Light Sensor – The Hozelock Sensor features an innovative daylight sensor to automatically adjust your watering schedule to start at sunrise and sunset. No programming required, the daylight sensor automatically adjusts as the seasons change. 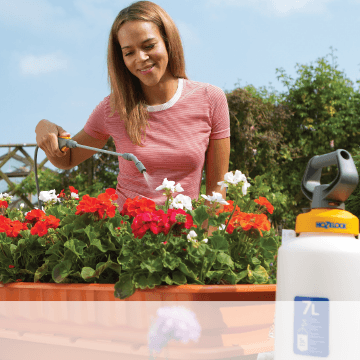 Scheduling – You can select from watering duration of 2, 5, 10, 20, 30 or 60 minutes and is easy to adjust in case you need to react to changing weather conditions, without ever having to refer back to the instruction book. Water Now button – Provides the option to dispense water outside of the automatic schedule. Press the button to select watering for a 10, 30 or 60 minute duration. Simply press again to cancel the operation for shorter periods. 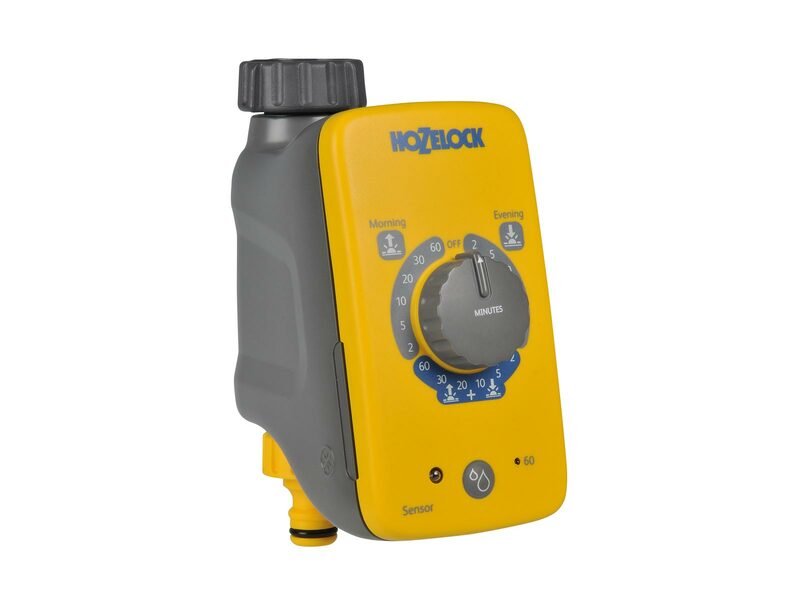 Versatile Usage – The Sensor Controller is a versatile unit that can be used with Garden Sprinklers (up to 10 Bar), low pressure micro irrigation watering (1.5 Bar), or Water Butts (0.1 Bar). 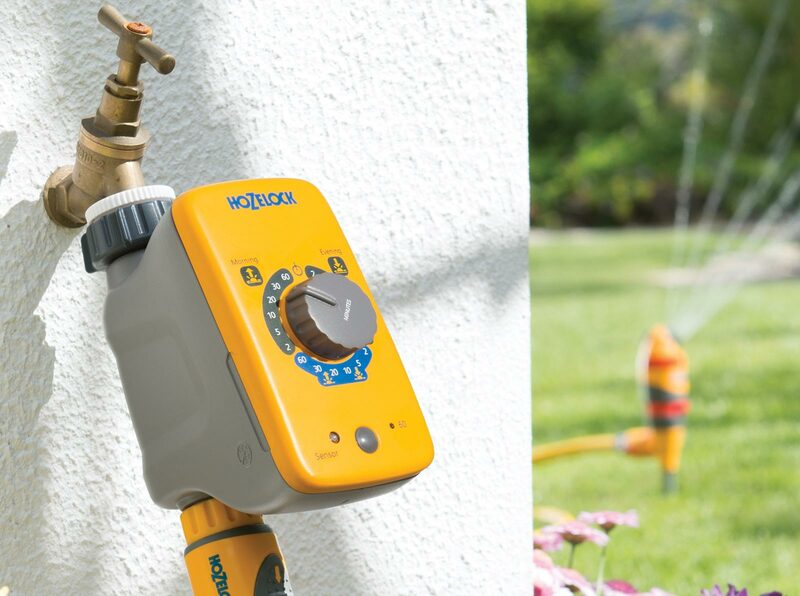 Easy to Install – The Sensor Plus Controller is simple and easy to install with your watering system. 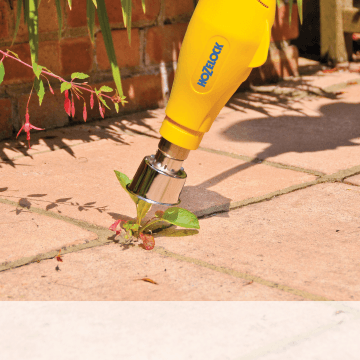 Screw straight onto a standard garden tap provided with a choice of 21mm (1/2” BSP), 26.5mm (¾” BSP) or 33.3mm (1” BSP) adaptors and insert 2 x AA Batteries (not supplied). Battery operated so no electric wiring needed.